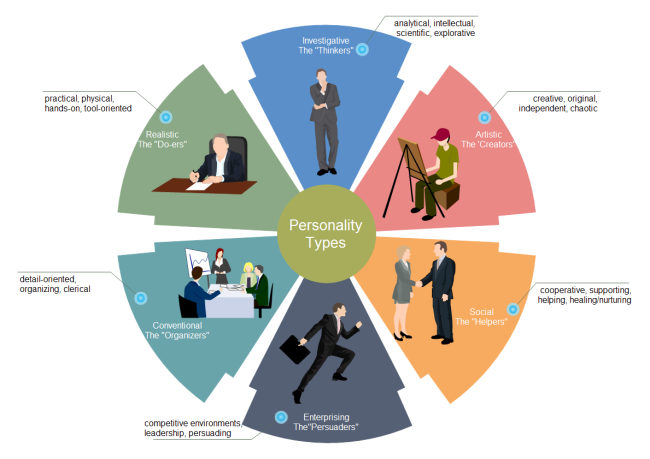 Description: Get an amazing customizable personality analysis diagram template right now without spending a penny. It is provided for download and print anytime anywhere with Internet access. This simple personality analysis diagram example is created by Edraw Max, a diagramming software enhanced by predefined symbols. You can transfer it into different formats.